New Zealand Snowboarder Magazine Banked Slalom video. Snowboarders do like to race, especially if it is the 20th Annual Banked Slalom at Treble Cone! New Zealand Snowboarder Magazine Banked Slalom from Treble Cone on Vimeo. Was an awesome day, first sunny day for the event in a while. Was epic to see unknown Antoine Blaizeau smash the competition by 18 seconds! 2nd,3rd, 4th and 5th were all within 1sec of each other and he was well ahead! Here is the other recent edit from Treble Cone. Saddle Sunny Days from Treble Cone on Vimeo. Week One 2012 @ Treble Cone. Here is the edit I did for Treble Cone’s first week of 2012. I used some slow motion techniques to emphasize how good the snow is on trail and in the gullies. All shot on the Canon EOS 7D. Thanks to Campbell Smith and the TC Freeski group for letting me film them, and to Lucy Waters for letting me do a Time lapse of her work on the ice sculpture. 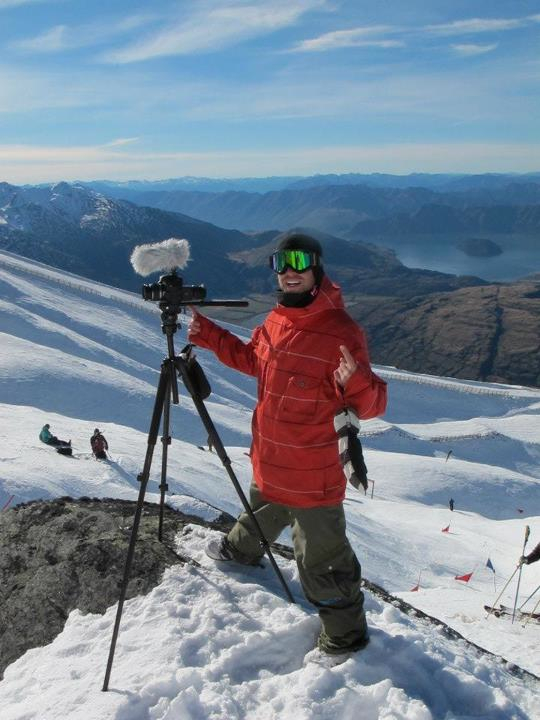 Wanaka winter season kicks off with Treble Cone Opening day edit. So finally the opening day at Treble Cone Snowfield came to be. 12 months ago was my first live gig with my new 7D Having been waiting since last, well, ever I was happy to get a blue bird day to film. I went a different route and used an edited Landscape Picture Profile Setting to grade in camera. Same day edits mean critical timing, as I had planed to use this Landscape PP if the weather permitted, and Marvels is it was overcast or otherwise not to flash. It turned out well with some bright colored jackets on bright white snow and pale blue sky.